Cricklewood, in north-west London, sits on the boundaries of three boroughs, and, as such, has tended to be civically neglected. The community has no public space whatsoever: no park, no town hall, no square, no library, not even a bench. In response to an Outer-London Fund brief to improve the area, we proposed a mobile town square, which could occupy the patches of disused land across the community, and turn them into live, public spaces for all to use. 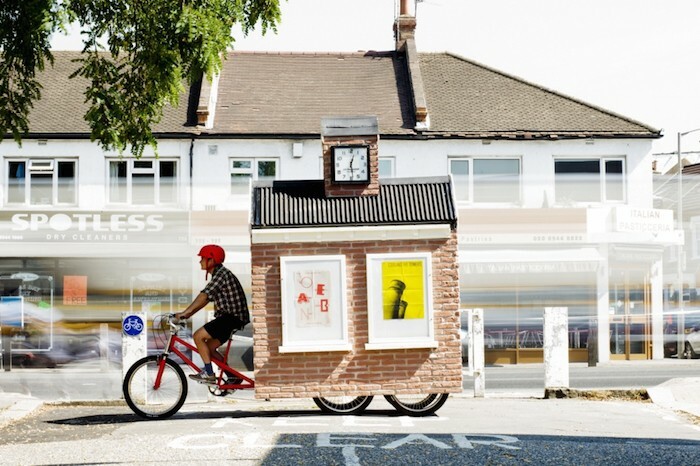 The structure, designed by Kieren Jones, moved across Cricklewood for six weeks in September 2013, turning pavements, car-park roofs and scraps of grass outside the big B&Q into community resources. A series of events helped activate the spaces, including a ceilidh, a chess tournament and a dog-show. An animation based on Cricklewood Town Square was featured in the Shenzhen Biennale 2013 and at RIBA's 'Forgotten Spaces' exhibition at Somerset House. A Spacemakers project. Photos by Theo Simpson.